A week of rainy weather gave way to a picture perfect day. 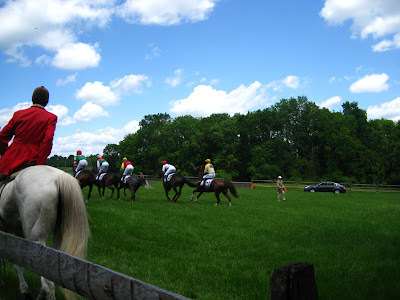 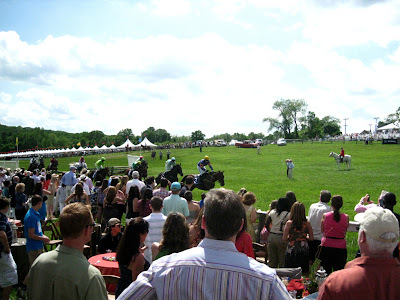 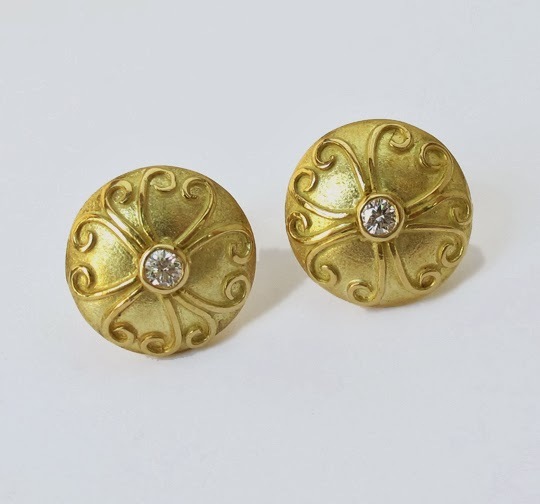 The Steeplechase event now in it's eighty first year in this lovely corner of Chester County, PA, has more recently become a fundraiser to benefit The Brandywine Conservancy. 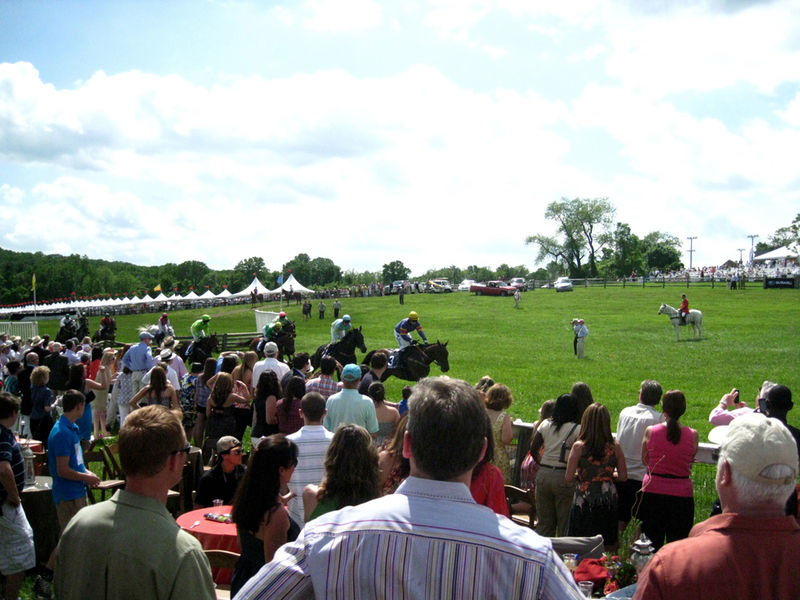 There are several horse races during the day over a hilly open course of mowed fields and jumps. 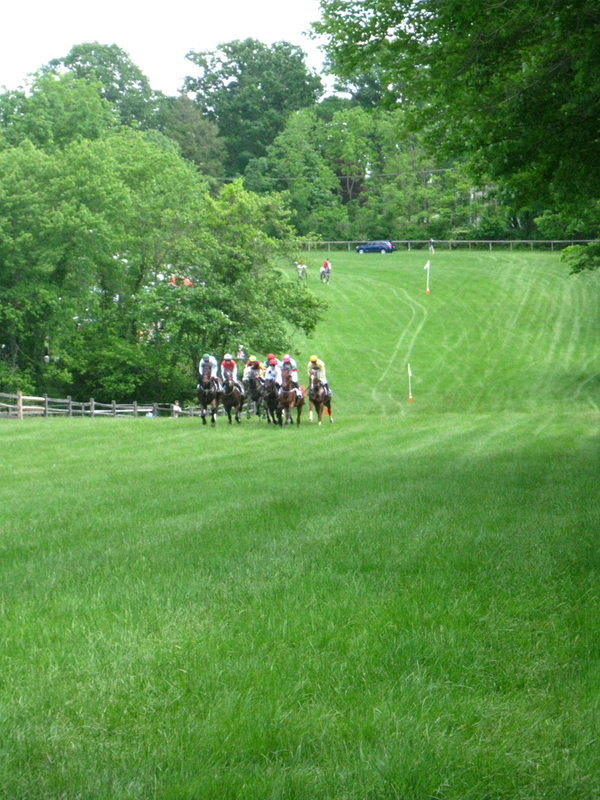 Jockeys form a line just before the starter signals the start of the race. 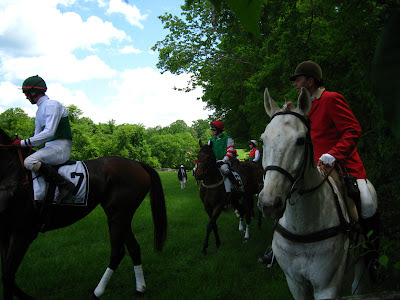 To hear the rumble of galloping horses approach then see a flash of color as the jockeys ride by wearing the color of the stables they ride for is like being in a Degas painting- a spectacle that has not changed in a hundred years. This could be a painting by Edgar Degas. 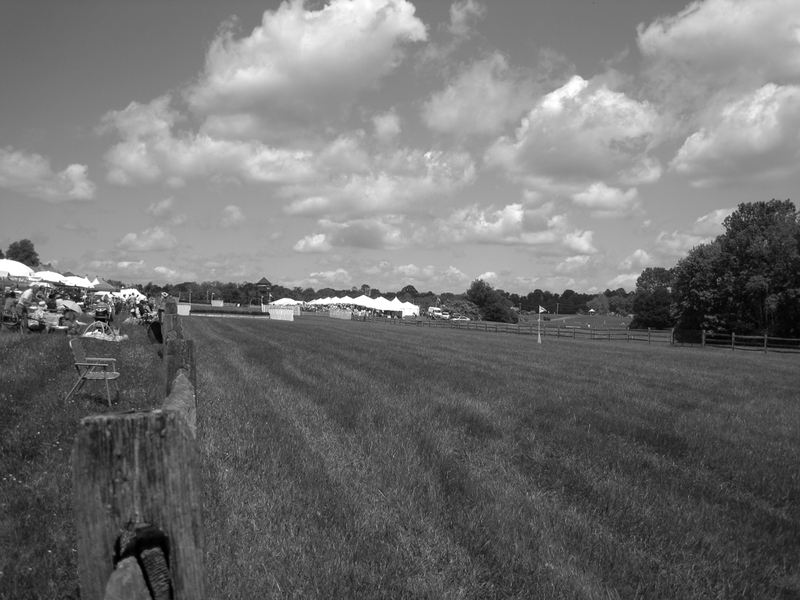 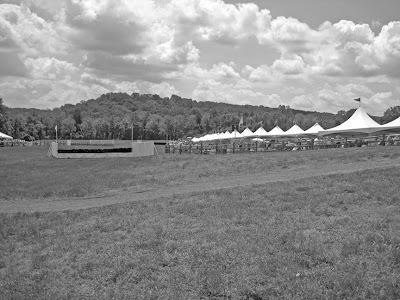 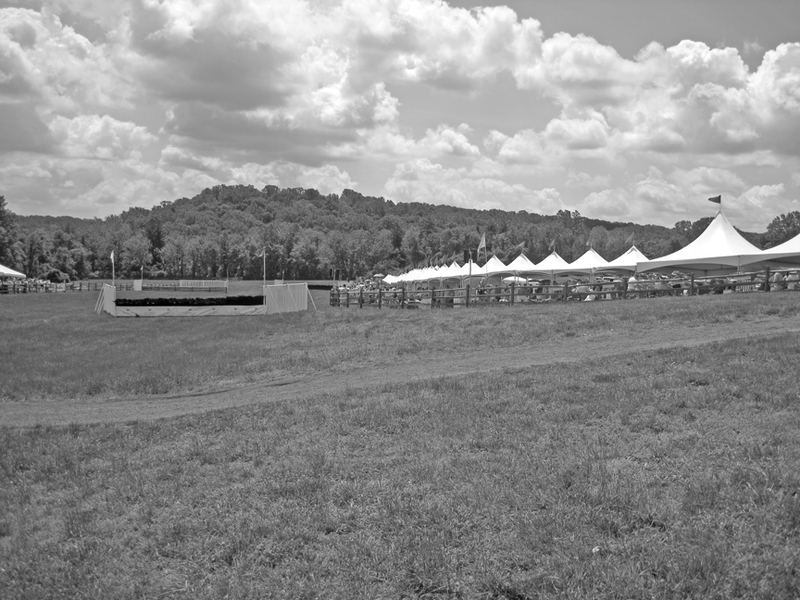 The race course lined with picnic tents. 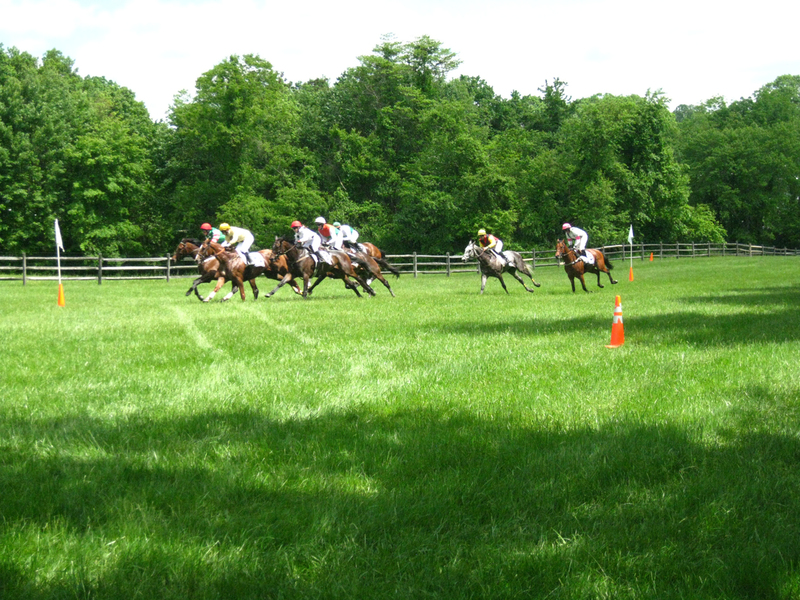 Enjoying the race at The Bellevue Tent. 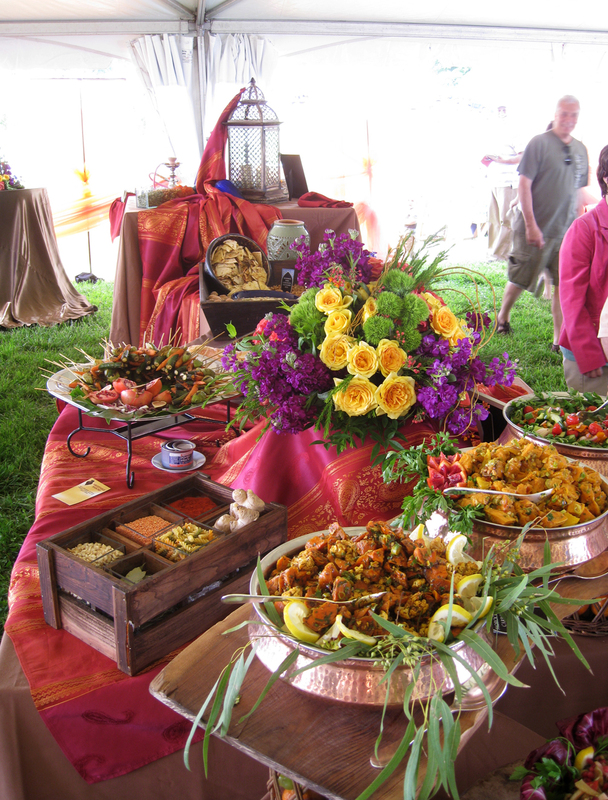 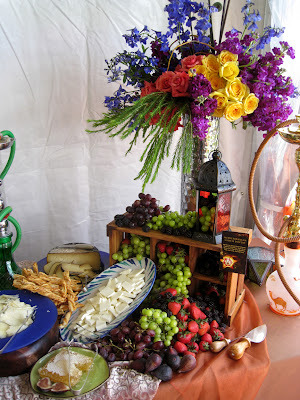 The Bellevue served a Moroccan dinner to their guests. Flower arrangements by Beautiful Blooms were incredible.